Recently I had to connect my PHP application to a MSSQL server. This is a step by step guide to viewing, updating and editing MSSQL Server databases on your Mac! Download SQL Development. 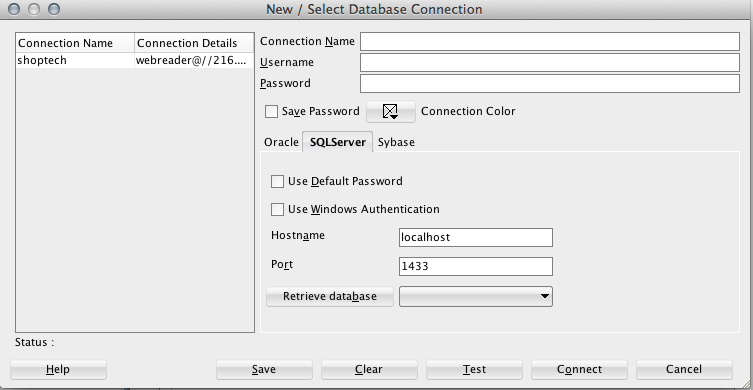 Oracle has an excellent FREE SQL development tool, SQL Developer that will allow you to connect to a MSSQL database server. Download MSSQL JDBC driver. 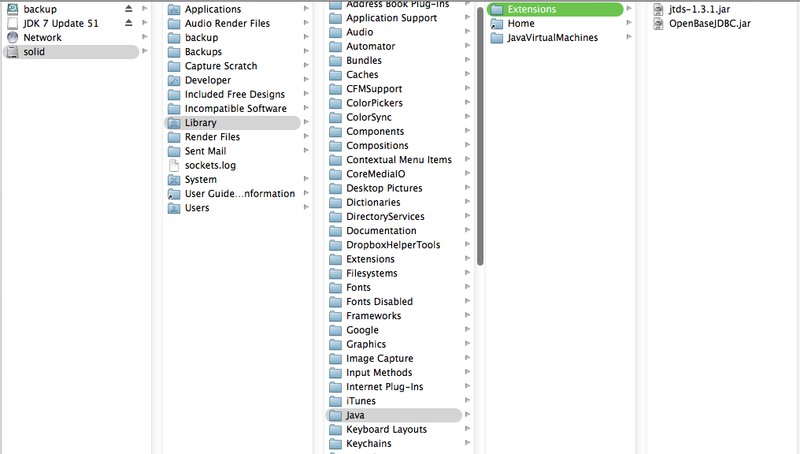 You’ll need to add an open source MSSQL JDBC driver to your computer. 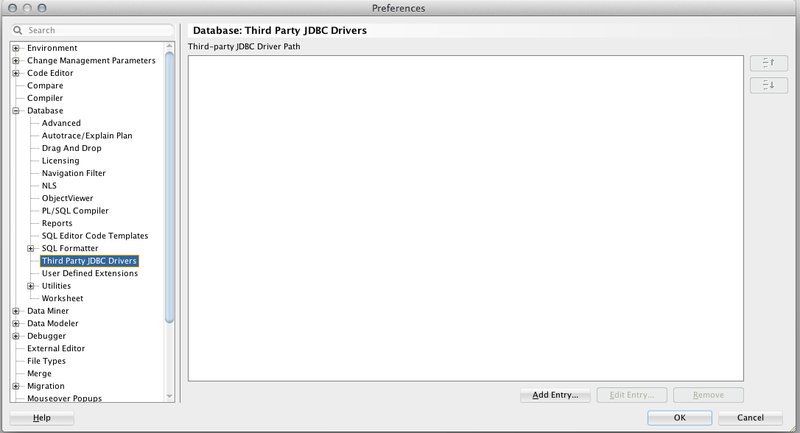 the jTDS driver allows you to connect to Sybase and MSSQL. Download a copy here. 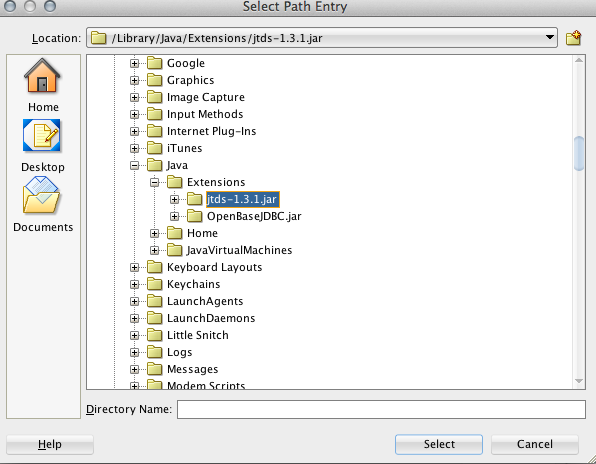 Extract the jtds-x.x.x.jar and put it in your favorite java extensions directory. I put mine in /Library/Java/Extensions. Now you’re setup and ready to connect to MSSQL on your Mac OS X computer. 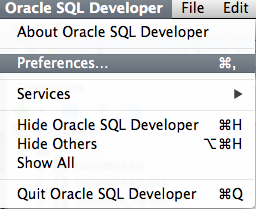 Run Oracle SQL Developer Application. I’m running v4.x. Under the main menu you’ll find the Preferences option.